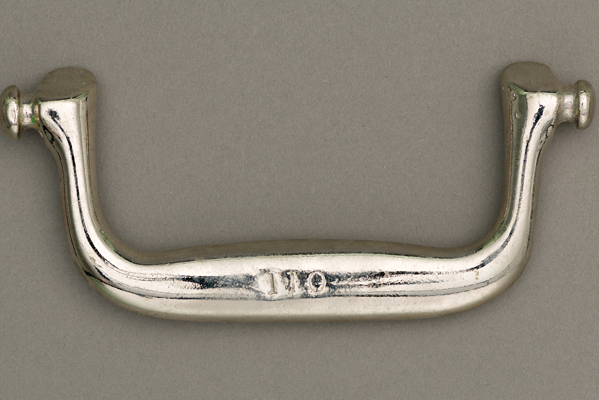 Date: Design dates from 1920s, but this handle was in production until 1998. 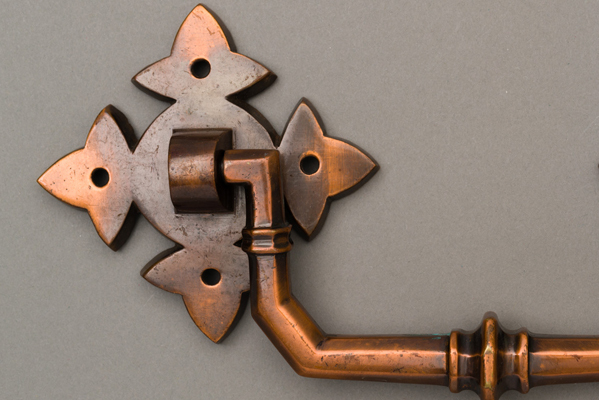 This brass handle was produced using the process of sand casting. 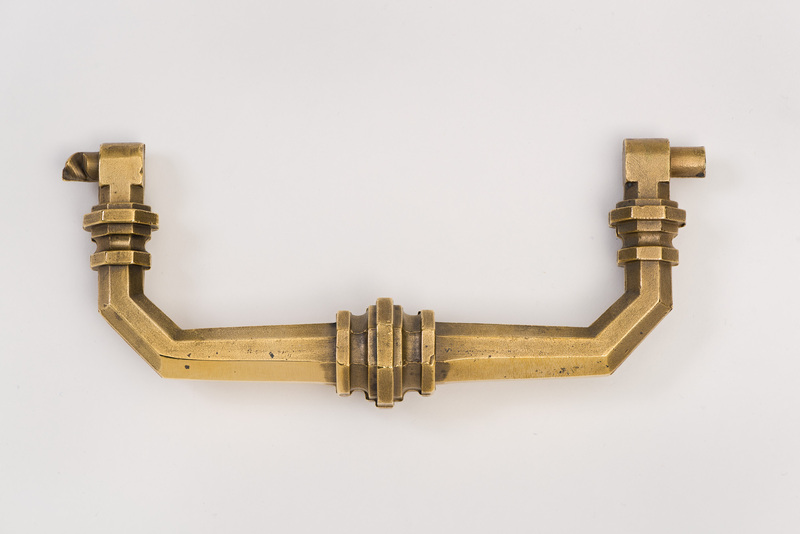 It was produced through the process of sand casting, in which liquid brass is poured into a mould, that contains a hollow cavity of the desired shape, in this case a gothic handle, and is then allowed to cool and solidify. Burnishing refers to smoothing-out process with a fine burring element, in this case a series of polishing mops were used. 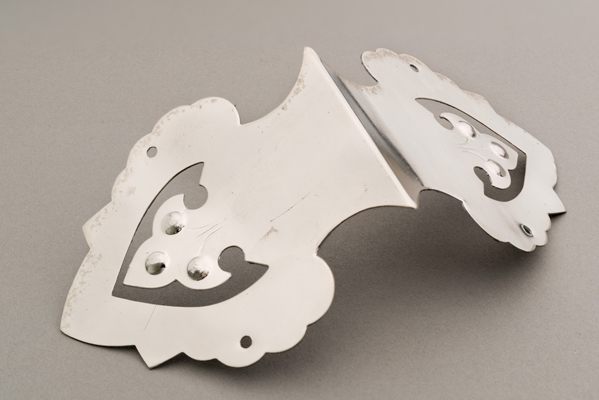 Between 1894 and 1998 Newman Brothers produced a range of coffin furniture by a variety of methods including stamping, casting and planishing. 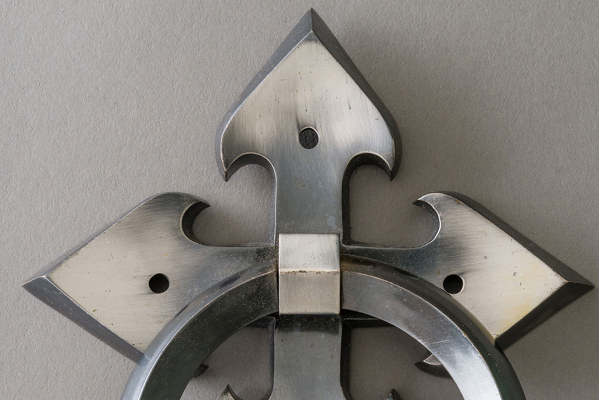 Their main metal of choice, certainly from 1882 to the 1930s, was brass, although their other base metals of choice included zinc and aluminium, particularly from he 1960s onwards. Newman Brothers’ main ‘finishes’, that is, the electroplated base on their products, was either ‘electro-brassed’ (EB for short) or nickel plate (NP for short). 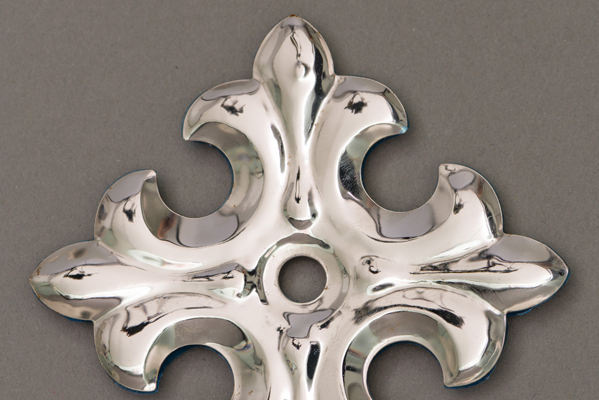 Many people have assumed that the latter, was, in fact a silver plate, but there is no evidence to suggest that they ever used silver, or gold in fact. Unfortunately, the one-storey range containing this workshop was demolished in 1967 and replaced by the two-storey range we see today. Read more about the Casting Shop by clicking here. 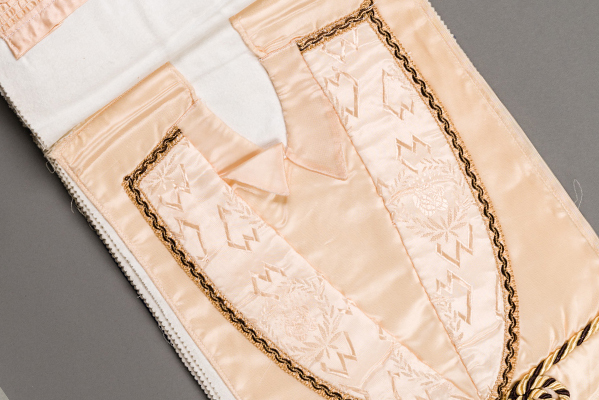 If you'd like to be notified when we add new objects, get the latest blog posts, and get invitations to special events, please sign up below.